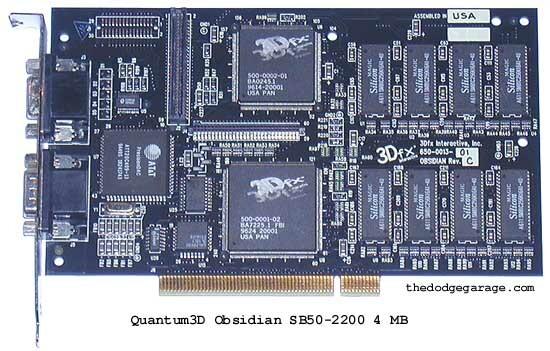 Quantum3d was spun off from 3dfx in 1997- 3dfx would handle the consumer market while Quantum3d would focus on the arcade and simulator market. 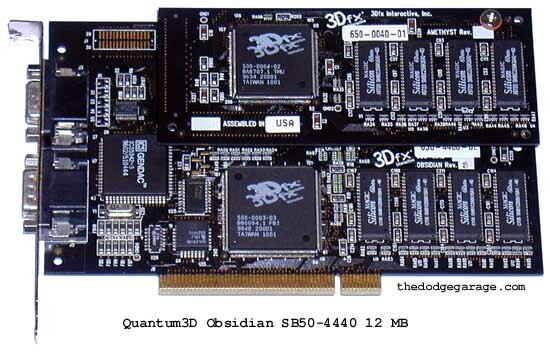 Quantum3d did release some consumer level boards such as the Obsidian2 X-24 (Two Voodoo II's in SLI mode on a single board $600-$700 please) and the Raven Banshee. 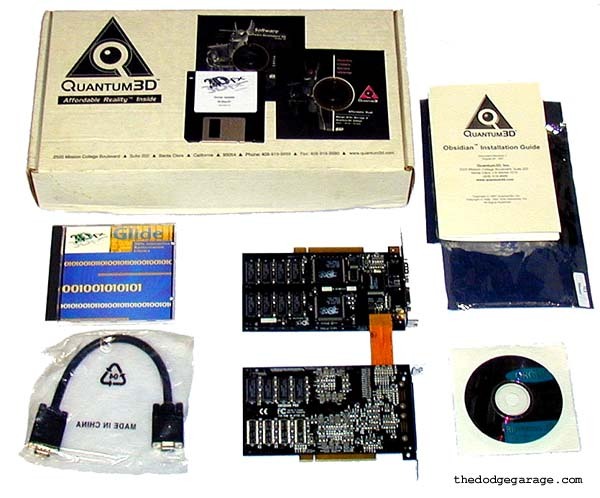 Quantum3d is still in business to this day. 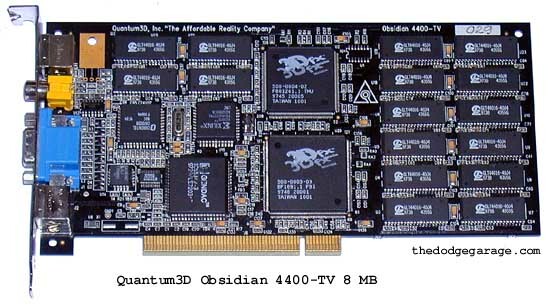 Perhaps the rarest of the production 3dfx boards, a new boxed set of Obsidian Pro 100DB-4440! Back in 1996 these commanded a hefty $2500 price tag and I'm aware of perhaps 4 examples worldwide. 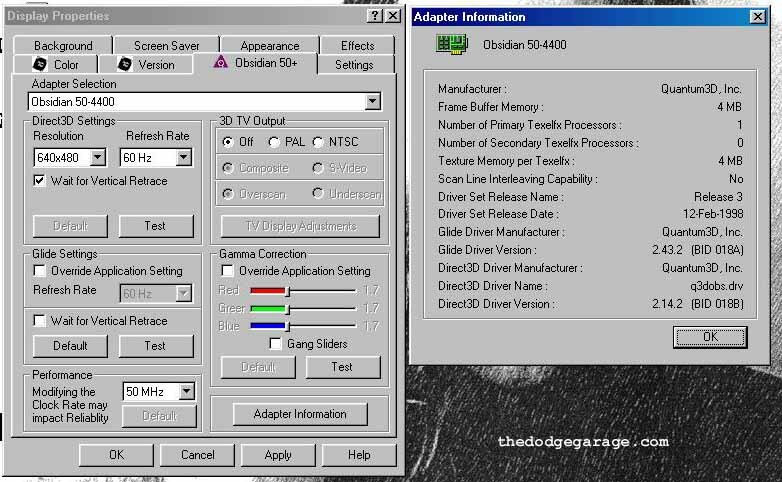 This magnificent set showed up on Ebay one day with the explanation that 3dfx had provided them to a production house back in 1996 or 1997 for software development and they had been largely unused and were going to be thrown out. Click here for a screen shot of the 100DB-4440 display properties. Production FCC & CE markings on the backside. 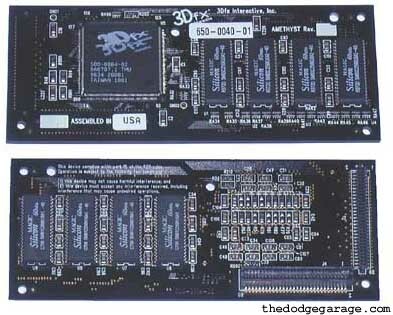 The SLI ribbon cable has the words "3Dfx Interactive" in the "pcb" design. An amazing assortment of goodies, the monitor cable has not even been removed from the bag. Of interest is the Orchid driver disc that was included with the package, other discs included are board drivers and Glide software development discs. Bag marking indicating which board is which. 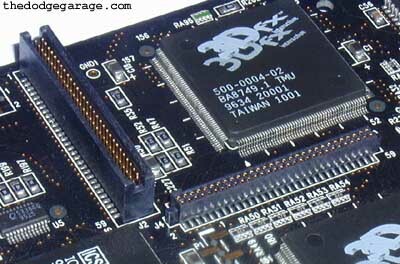 The master board has a controller chip and VGA connectors. 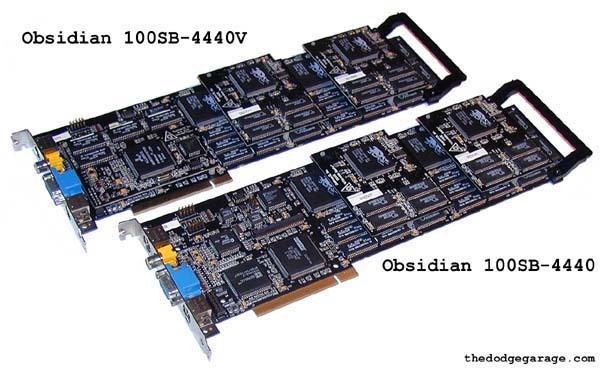 The awesome Obsidian 100SB-4440 and 100SB-4440V- The top of line in the Voodoo Graphic series with dual Voodoo Graphics chipsets in single board SLI with extra TMU modules (called SHADES) and in the case of the 4440V a 2D daughter card (MGV) for good measure! Back in 1997 the 4440V retailed for $1895! The 100DB was superceded by the 100SB's pictured above. This things are beasts and run great! They are as as fast as a Voodoo II in some games! 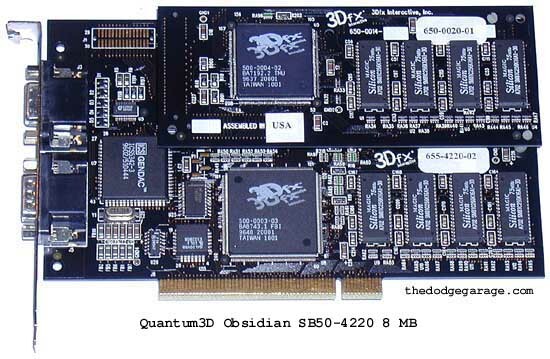 This specimen was a Quantum3D lab card from an ex-employee. I lucked out and have the 100SB-4400"V" which includes the 2D AT25 MGV module with 2 MB of ram so no pass-though cable is required. With the addition of a pair of "SHADE" TMU modules the 4400 becomes a 4440, the ultimate Voodoo Graphics board. There is sketchy documentation but apparently you could hook up 100SB boards in an early "AAlchemy" configuration with master and slave boards. Have to look further into this.. click here to see the 100SB-4400V and MGV control panels in a new window. 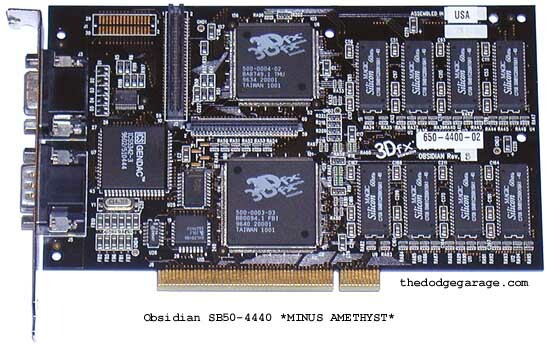 Five more variations of the classic Obsidian Voodoo Graphics design- A SB50-2200, SB50-2400, SB50-4400, SB50-4220 and a SB50-4440 with 12 megs of ram. 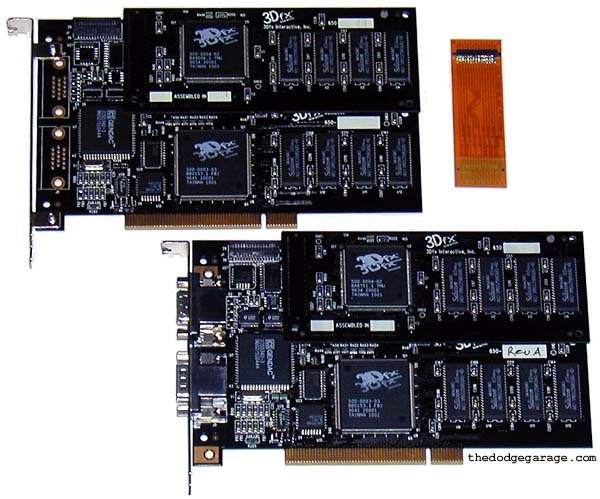 The Obsidian boards above that are equipped with Amethyst daughtercards have 1 Pixelfx chip and 2 Texelfx chips, compared to a "normal" consumer Voodoo Graphics board like the Diamond Monster which has 1 of each. Click here for screen shot of 4440 display properties. Obsidian SB50-4400-TV Voodoo Graphics with 8 megs of ram (4 megs for pixelfx, 4 megs for texelfx) SB50-4400-TV is 8" long x 3.75" wide. Click here for screen shot of 4400-TV display properties. 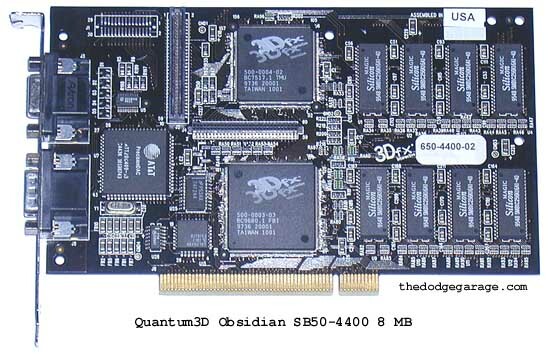 Quantum3D Obsidian Voodoo Graphics configurations. 50-4400TV 1 1 4MB 4MB N/A 8MB Rare, only one seen. The first place holder on the four digit number refers to the amount of frame buffer memory available to the pixel processor. This number will be a 2 or 4 depending on the amount of RAM. The next two numbers correspond to the Texture Processors, designating if present and how much memory each has. The last digit is for a 3rd Texture unit, although one was never implemented. 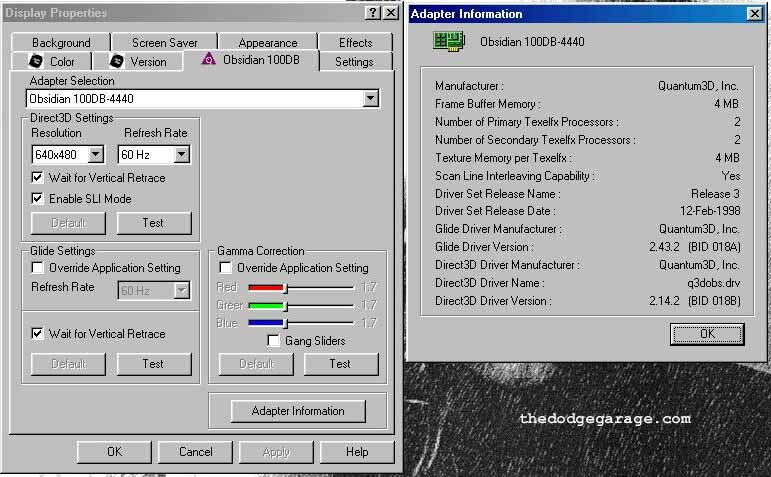 Example: A 50-4440 would have 1 Pixel Processor with 4MB RAM and 2 Texture Processors with 4MB of RAM for each one. Amethyst daughtercard with TMU and 4 MB displayed. 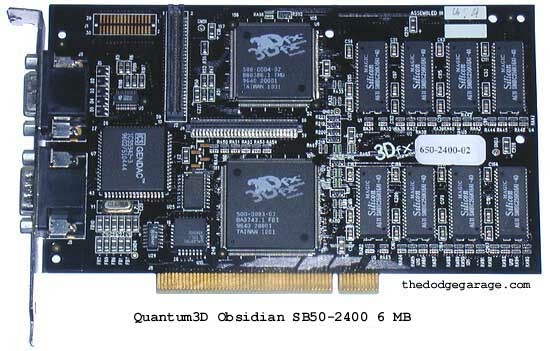 NOTE- The 50-4200 was a card never sold by Quantum3D but if you take a 50-4220 and remove the Amethyst daughtercard that's exactly what you have. 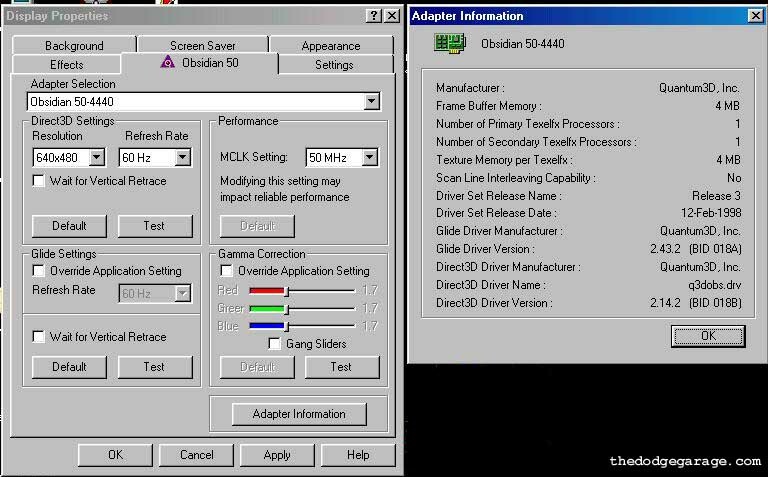 What is puzzling is Quantum3D stressed that 2 MB of frame buffer was all that was needed since the cards were so fast and that ram buffer for the TMU's was more important! And here they go and make a main Obsidian board with more FBI ram then TMU ram, might explain why it was only available with Amethyst installed. Pictured is a SB50-4440 with the Amethyst daughtercard removed, technically making it a SB50-4400. All the Obsidian boards without Amethyst would look like this since the basic board ram configuration changes are made on the backside. 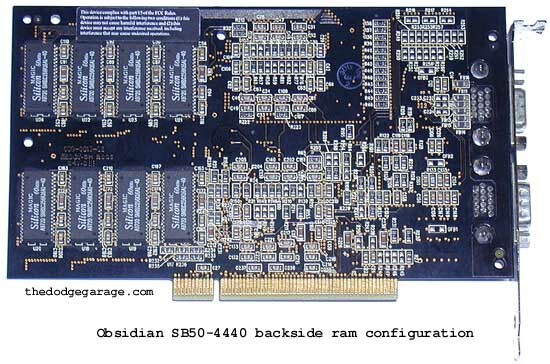 Depending on what "basic" Obsidian board was required, backside ram configurations were- None, 4 half meg chips upper, 4 half meg chips lower or all locations populated.